We are pleased to announce that the 2017 Opus Competition Festival results! Thank you to all who submitted entries. Also, many thanks to our judge, David Schneider. 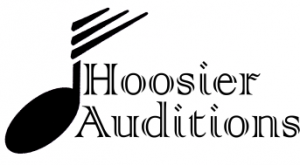 The winners in each category will have the opportunity to perform their composition at the IMTA State Conference in the fall of 2017 at Indiana Wesleyan University. I am very pleased to announce that the 2016 Opus Competition Festival results are in and students did a fantastic job! This year, we received 23 works for all 4 categories and many high-quality compositions made the festival very competitive. Congratulations to all the students who submitted entries! We were very fortunate to have nationally known teacher and composer, David Schneider as our judge this year. He told me that he was very impressed and extremely pleased with the compositions and stated that all of the students should be very proud of their works! I am sure teachers and students alike will be encouraged by his amazingly insightful comments. 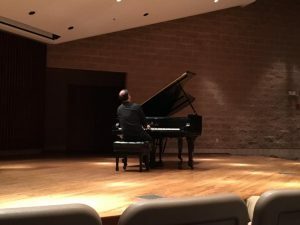 The winners in each category have the opportunity to perform their composition at the IMTA State Conference in the fall of 2016 at Goshen University. Winners of each category will receive their entry fee paid in full by IMTA into the state round of the MTNA Composition Competition in September 2016. Please note that IMTA will not pay any applicable non-teacher fees for entry into the MTNA Composition Competition. A special thank you to teachers for continuing your students to compose, it has been a pleasure serving as the new chair for the Opus Festival this year and I look forward to chairing this event in upcoming years. 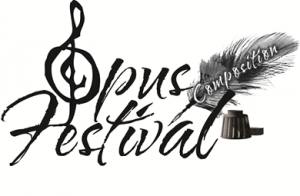 I am very pleased to announce that the 2015 Opus Competition Festival results are in and students did a fantastic job!!! This year, we received 30 works for all 4 categories and many high quality compositions made the festival very competitive. Congratulations to all the students who submitted entries! We were fortunate to have nationally known teacher and composer Wendy Stevens as our judge this year and she was extremely pleased with the compositions and stated that all of the students should be very proud of their works! I am sure teachers and students alike will be encouraged by her helpful comments. The deadline for the Opus Composition Festival is approaching quickly. The postmarked deadline for this year is Saturday, March 7th, 2015. There are some new changes in the Opus guidelines this year. Please refer to the IMTA website www.indmta.org under Opus guidelines for more detailed information. A copy of the score (computer generated in any notation program) and MIDI file of the piece are required. Please send all the files via email to the Opus Chair, Caroline Ahn at minka12092001@msn.com. No handwritten scores will be accepted this year. The Opus Composition Festival is a competitive event designed to encourage students to create and write music. 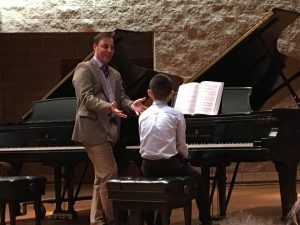 The Opus Composition Festival promotes creativity and educates students in the art and craft of musical composition.All students who enter receive a special certificate of participation, a ribbon, and a judge’s comment sheet. Please feel free to contact me with any questions. I will be happy to assist you.